Coleman self serve equipment has taken the simplest form of vehicle cleaning and made it into a science. In the beginning, self serve car washes offered limited services which were simply high pressure wash and rinse with a vacuum for the inside of the vehicle. 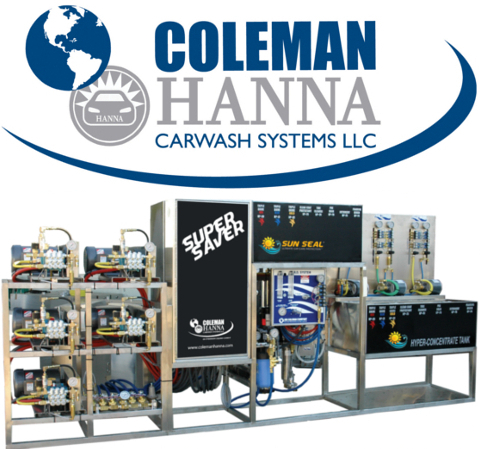 The Coleman Hanna product line has changed and expanded throughout the decades to accommodate the ever-changing demands of a car wash customer. Coleman Hanna offers several different self serve pump stand options as well as a full line of mix-and-match accessories. Their Splash-N-Dash system is a fresh take on an all-in-one, compact, self-contained self serve system. No matter what Coleman Hanna product you choose, this is a company you’ll want to associate yourself with. 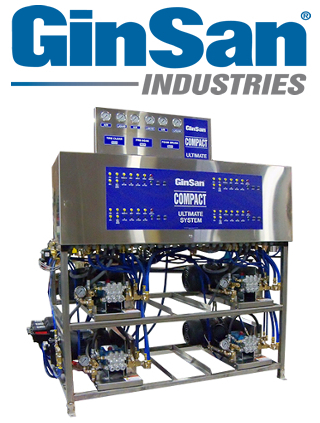 Contact AutoAuto Wash today to find the perfect self serve solution for your wash.
GinSan’s self-serve car wash systems are specifically designed to meet the needs of the self serve car wash operator. All of GinSan’s systems encompass proven technology, providing you with value and peace-of-mind. All systems are constructed of stainless steel and assembled using stainless steel bolts and self-locking nuts. Every system is pre-wired, pre-plumbed and vigorously tested before leaving the GinSan manufacturing facility, assuring a simple, trouble free installation, and years of dependable service. By purchasing quality GinSan equipment, manufactured to the highest standards in the industry, you provide your customers with one of the best washes available. You also afford yourself the opportunity to run a profitable business with equipment that is highly reliable and holds its resale value. Designed with the operator in mind, GinSan’s car wash systems are easily maintained reducing down time and service calls. Contact AutoAuto Wash for more information on GinSan self serve equipment. CustomKraft has developed the simplest, most reliable equipment for self-service car washes. The components are easily accessible and engineered for durability. CustomKraft’s progressive research and development program is based on dependability. Since beginning business in 1982, CustomKraft’s aim has been good design made simple. CustomKraft carwashes consistently earn an excellent return, protecting your investment from inflation and economic turmoil. CustomKraft systems have easily accessible components and are engineered for durability for years of trouble-free operation. CustomKraft’s innovative patented MultiPressure System® attracts customers by offering 12 selections per bay (50% more than other systems) and has only one hose per boom; that’s about 80% fewer hoses than other self-service equipment. Customers stay in the bay longer, increasing your income from each customer. 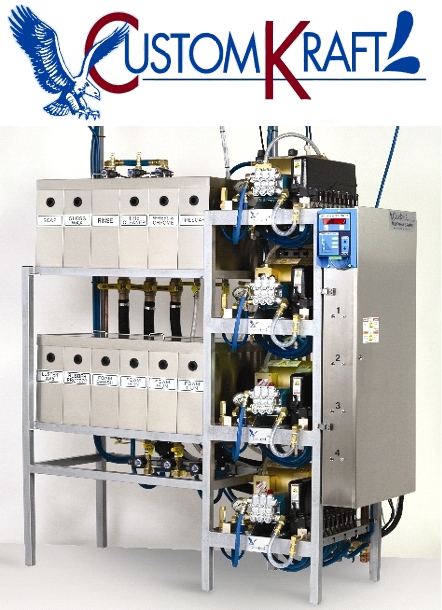 CustomKraft low-pressure selections are delivered 400% faster than other systems improving customer satisfaction. Contact AutoAuto Wash to get started on setting up your own CustomKraft wash. Located in Timberlake, NC, Carolina Pride is committed to offering the very best technology and equipment to their customers. 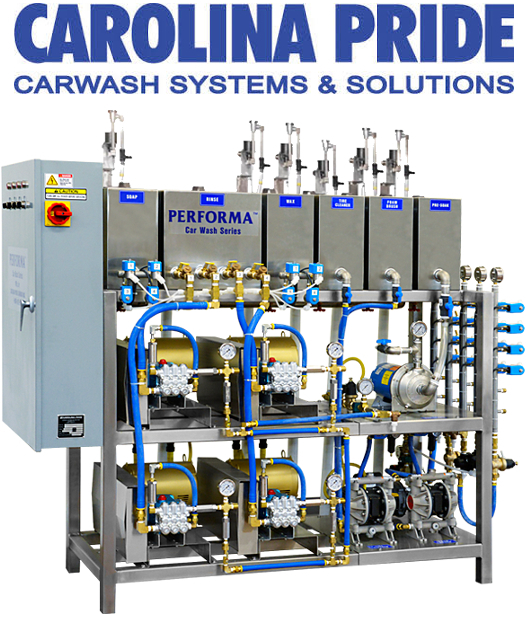 Carolina Pride knows the importance of superior quality and reliability in car wash equipment. Caroline Pride field-test their new products before deploying them and test their existing products to ensure that our investors and operators have the most reliable products on the market today. Their goal is to offer a complete package that provides you with the greatest profit potential possible. Carolina Pride’s products are customized for every customer’s needs no matter how big or small. The flexibility of their PERFORMA™ system allows their customers to create the best system for their specific needs. The Carolina Pride quality equates to: Flexibility, profitability, and dependability. Contact AutoAuto Wash to learn more about Carolina Pride and their exciting wash systems.